Here we are at the final stretch, the moment all procrastinators decide they probably won't make it to that Halloween party. 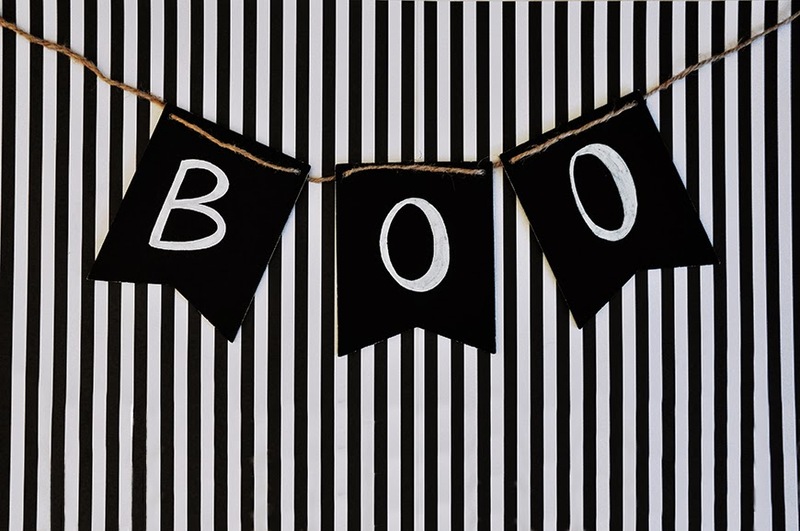 Don't fret we've got some simple costume inspiration for you, while using items only from your closet/home (or ours?) and nothing more. 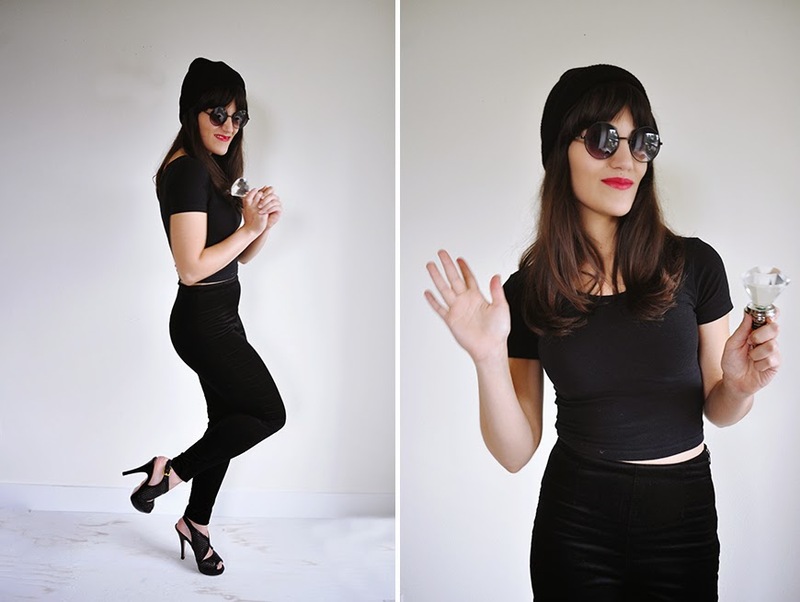 These four costumes are easy, cute, classic and sure to look like you tried at least a little. I don't do creepy/goolish/slutty costumes, so if that's your jam, move along. 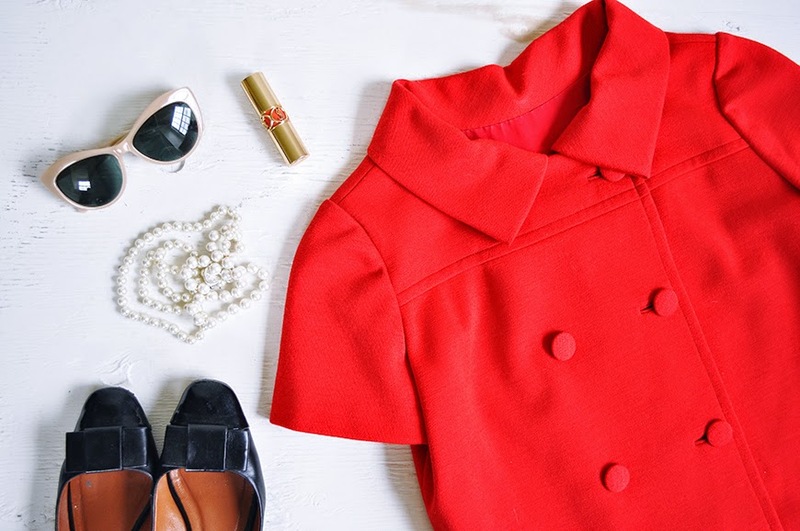 Probably one of the easiest costumes to put together (if you're a blond go for Grace Kelly). 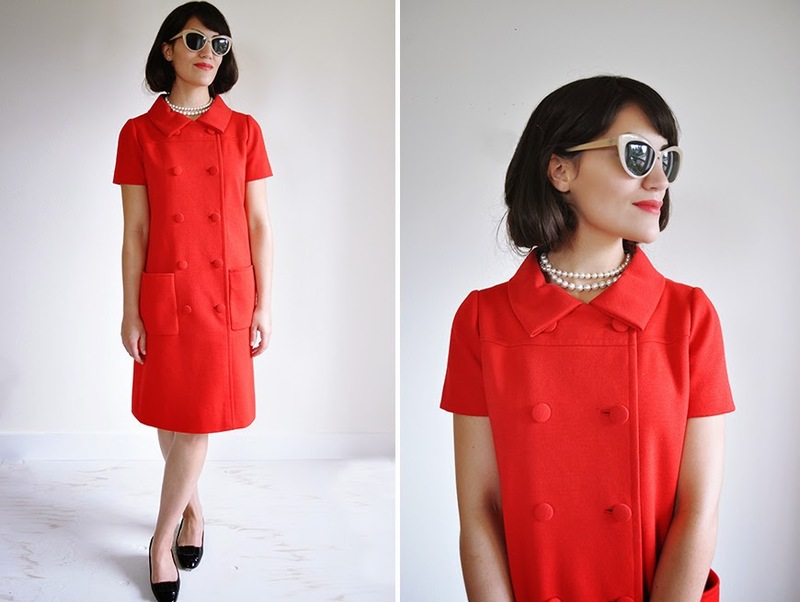 All you really need is a 60's-esque boxy shirt dress, some dainty heels, cat eye shades (optional), pearls and a little coral lipstick. If you hair is longer, pin it under to appear like a bob. ... Or just a regular old jewelry thief. 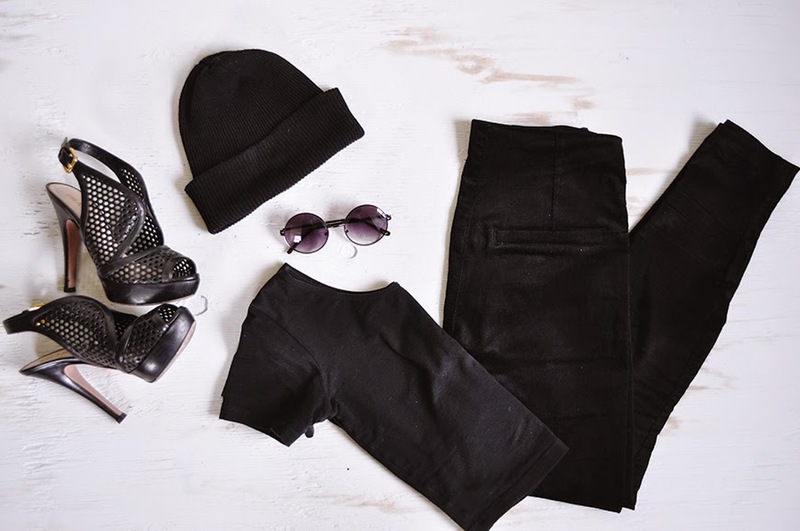 Wear all black, a mask or sunglasses, a beanie and some flats or wild heels to add a bit more fun. Carry a pile of cheap costume jewelry with you. We spotted a crystal wine stopper in the closet and decided it was the perfect diamond for this heist. Pretty basic. 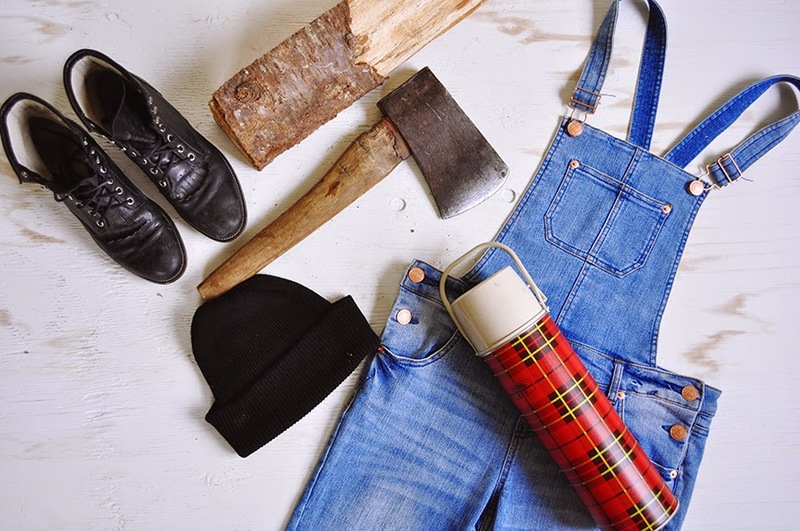 Overalls or suspenders, flannel (use your significant others', the bagginess looks cute), lumbery shoes, a beanie, hatchet and bonus points for dragging a log around with you. We added our cute tartan mug to the mix for an extra Pacific Northwest flare. I'm pretty sure we all own a "very French" black and white striped shirt. Well, pair that with black trousers (and suspenders if you have them), a mime face (we had leftover Halloween makeup on hand), a pair of flats and white gloves (ours were vintage leather gloves). Add a few funny expressions to the mix and there you have it. I'd like to thank my lovely sister for helping me out with this post, and I hope you all have a wonderful Halloween, my fellow procrastinators. your sister is awesome. so what are you going to dress up as? These all such great ideas! I love finding costume ideas for me that aren't quite so...umm... college style revealing... and all of these fit the bill. Also -- your photography!!! It's so good!! How much fun is this. I am a huge fan of all of it. Great suggestions especially to those who are pickier with their options. Thos are great! 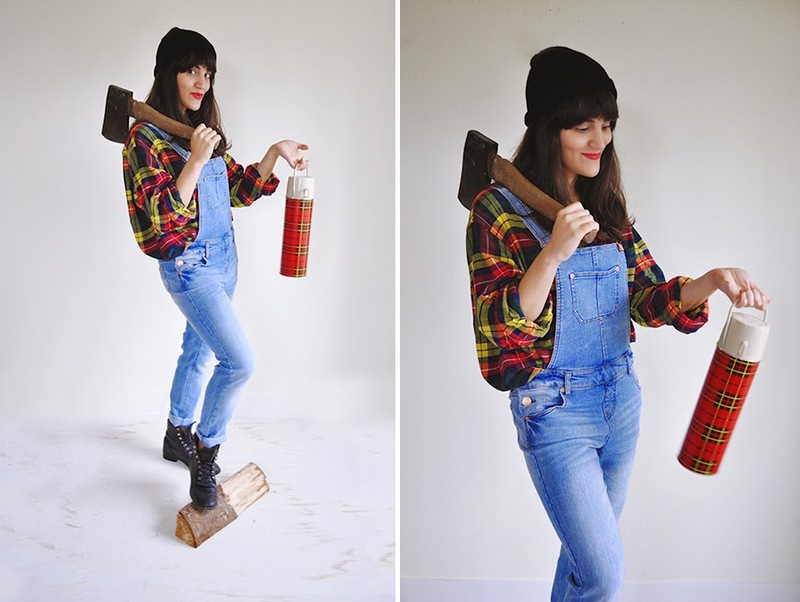 I love the lumberjack! Love all of these ideas! 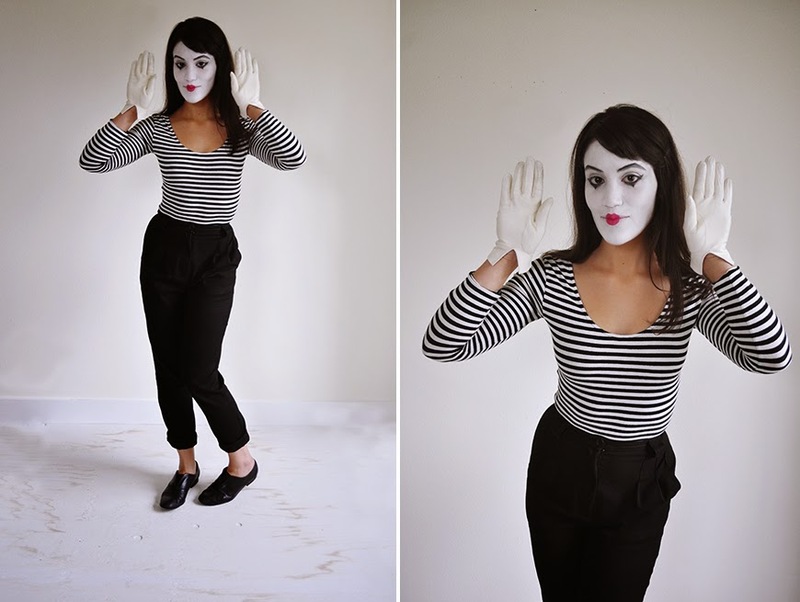 The mime is so cute! What cute costumes! Love the jewel thief! These are my kind of costumes!! All are great ideas!